Returning to the workplace after maternity leave and wondering how you’ll manage to breastfeed? Here are seven breastfeeding tips for mums going back to work. Will I have forgotten how to do my job? Will my colleagues have forgotten me? Will I still be able to endure the commute? Will I fit into my old work clothes? Will my brain still work properly? And if you’ve been breastfeeding your baby, you’ll probably have one more worry: Will I still be able to breastfeed? We’re delighted to reassure you that it’s quite feasible to continue breastfeeding once you return to work, even if you’re returning to full time hours. It will require some planning, persistence, and fortitude, but you’ll be able to keep up both your job and your breastfeeding. To help you do so, here are seven tips for breastfeeding tips for mums going back to work. If you’re going to be away from your baby during working hours, you’re going to have to pump breast milk. And that means investing in a pump. But don’t simply buy the first pump you find. Nor pick one just because it’s cheap. There’s a vast difference in the type and quality of pumps available. For example, at work you’ll need a pump that can quickly and quietly pump your breast milk. So make sure you research your options and the choices available carefully before you buy. When you know you are going to be rejoining the working world, start to stockpile your freezer stash of breast milk. Breast milk can last a long time in the freezer – it can stay good for up to 12 months, although experts acknowledge it’s best to use it within six months. To help you stay on top of any expiring breast milk, label each packet with the date it was pumped so you don’t accidentally give your baby spoiled milk. Just because you’re busy at work doesn’t mean that you can afford to start skipping pumping sessions. Your baby is going to need more milk as it gets older and bigger, and skipping sessions can lead to less milk output for you. If you can, try to continue pumping at least every three hours to keep your supply up. Even if your commute to work isn’t too long, it’s a good idea to invest in a portable cooler so you can safely transport your breast milk from the office to home at the end of the day. You took the time and effort to pump that liquid gold, so you don’t want it going bad. Look for a portable cooler that comes with ice packs so it will stay fully chilled until you get it home to your freezer. You’ll be pumping frequently the day at work, so the last thing you’ll want to do is to spend your precious time washing your pump after every use. One shortcut you can use to get around this is to seal the pump parts up in a Ziploc bag and keep them in the refrigerator between uses. Buy a breastfeeding bag to take with you every day to work. You can put your pump, a bottle of water, snacks, accessories, a book or magazine, and your cooler inside. Having everything in one handy bag will make your life a lot easier. Once you’ve got your kit sorted, it will just take a minute or two at the end of the night to replenish the snacks and water for the next day. You’re used to being around your baby 24/7 and suddenly, a good chunk of that time will be spent at work instead. Even if you don’t think it will hit you hard because you’ve been looking forward to some adult time at work, you may be surprised at the feelings of guilt that can hit you. Add in the stress of the double duty you’ll be doing soon and you might find yourself getting a little teary, even if you normally aren’t a cryer. If that happens, you need to realise it’s perfectly normal. Do whatever you need to do to get back on track, whether that’s having a good cry, complaining to a friend, or taking a much-needed walk. 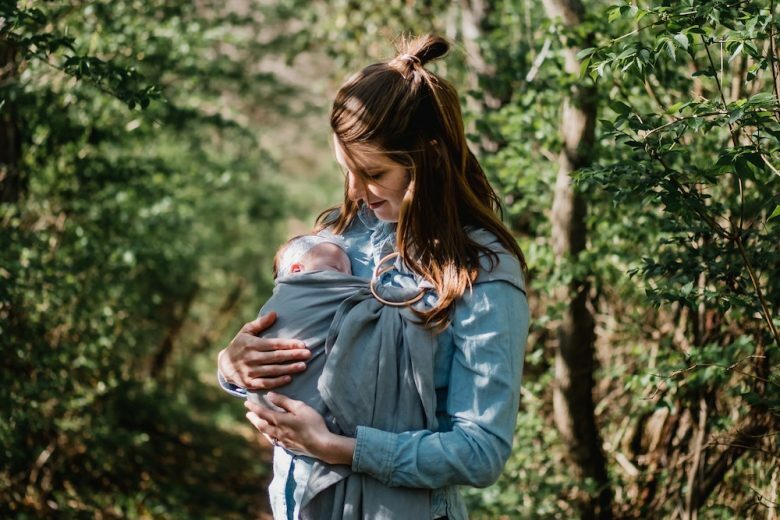 We’re not going to sugarcoat it: breastfeeding while you’re a working woman can be hard, emotionally, physically and mentally. But it’s worth it. So, even on the days it feels like you’re barely keeping your head above water, remind yourself that you can handle everything that’s being thrown your way. And that, over time, things will get easier. Jenny Silverstone is the mother of two, a breastfeeding advocate, and an editor for the blog Mom Loves Best, which aims to guide first-time mothers through the highs and lows of becoming a parent.